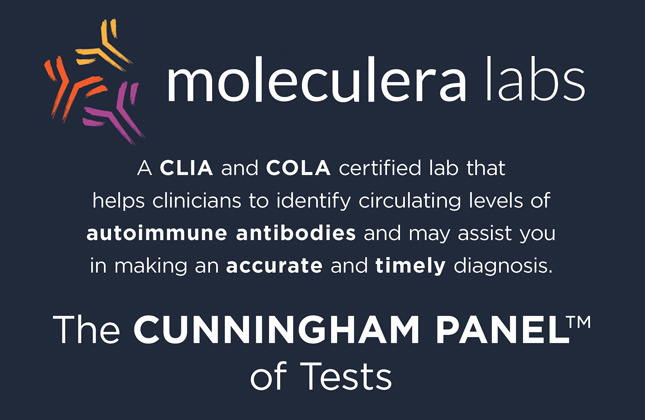 Moleculera Labs is based at the University of Oklahoma (OU) Research Park in Oklahoma City, and is the only clinical laboratory performing the Cunningham Panel™. 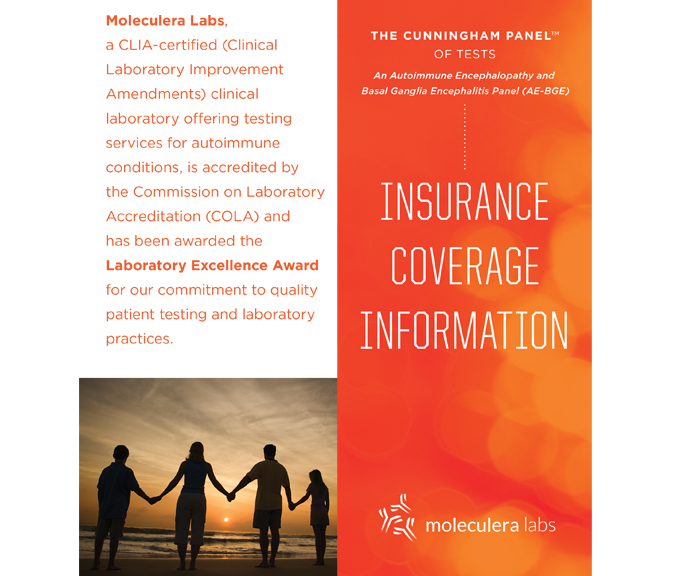 Moleculera Labs is accredited by CLIA (Clinical Laboratory Improvement Amendment) and COLA (Commission on Laboratory Accreditation) and licensed to accept physician’s orders from 49 states. 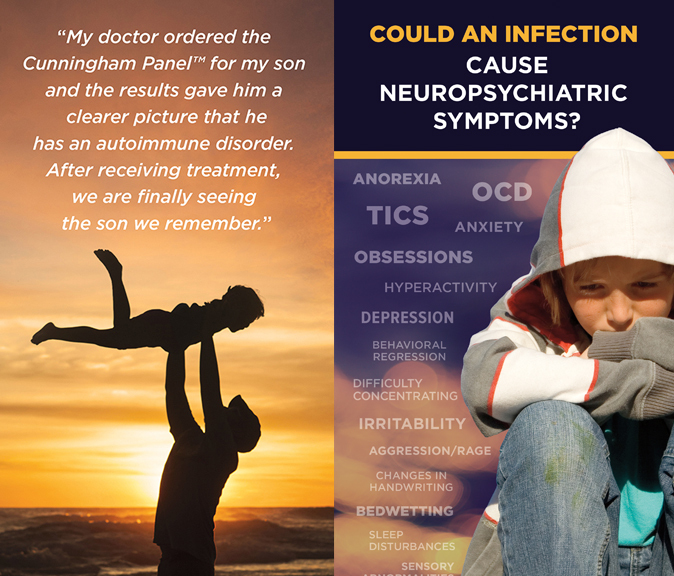 The Cunningham Panel™ was developed based on years of research conducted by Dr. Madeleine Cunningham at the University of Oklahoma in conjunction with Dr. Susan Swedo at the National Institutes of Mental Health (NIMH). The collective result of this panel was developed to assist physicians in their diagnosis of Neuropsychiatric Disorders, and support an appropriate treatment decision. 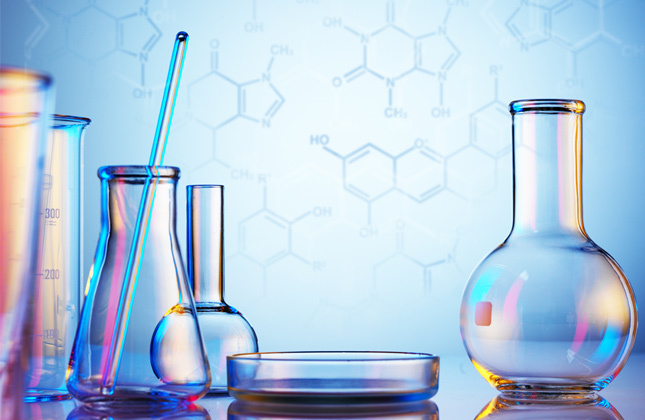 When the clinical diagnosis of Neuropsychiatric Disorders is made or suspected, the clinician can turn to the results of a patient’s Cunningham Panel™ for objective laboratory evidence to support their clinical diagnosis. 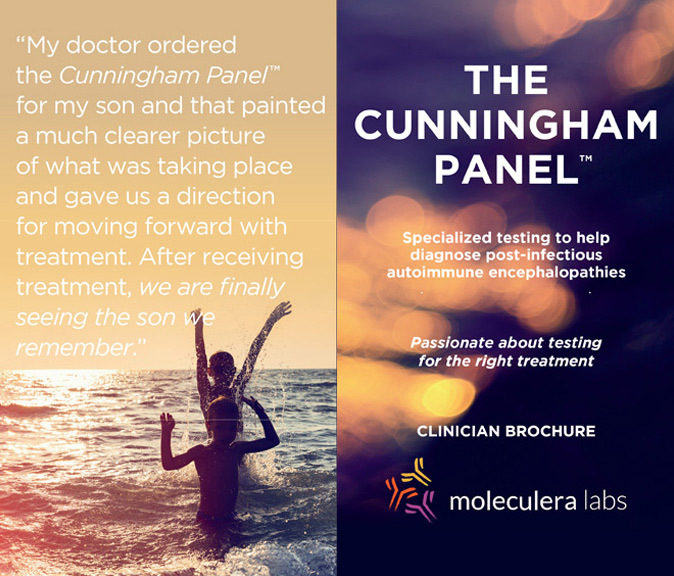 The Cunningham Panel™ can help identify the level of autoimmune antibodies associated with Neuropsychiatric Disorders and the capability they have to stimulate and trigger neurologic behavior. 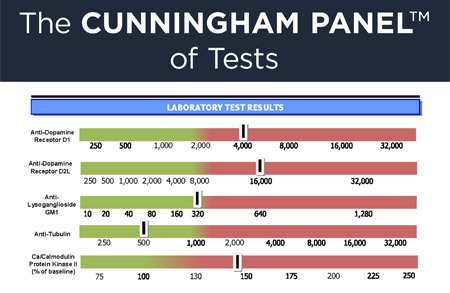 The Cunningham Panel™ is comprised of five (5) different tests. 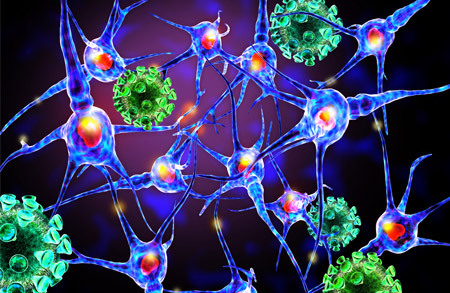 Four of these clinical tests include enzyme-linked immunosorbent assays (ELISAs) to measure antibody titers against four neuronal antigens present in the brain. Each of the five tests in the Cunningham Panel™ report include a “Normal Range” which is a range of values ascertained by testing an appropriately identified normal pediatric population for this type of panel. 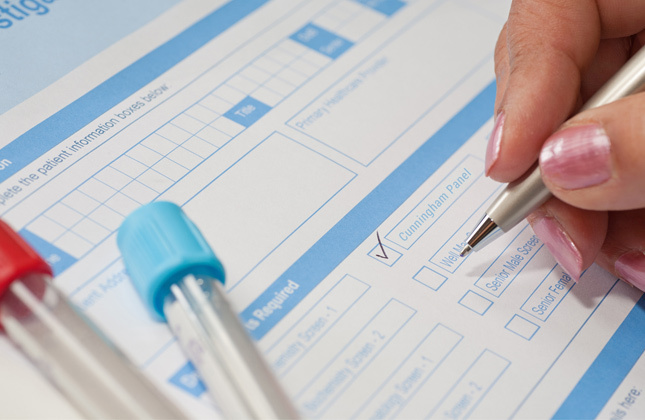 The Cunningham Panel™ of tests requires a physician order before we can receive and process any specimen. We have a secure Prescriber Portal for prescribers to place an order and to review the test results. 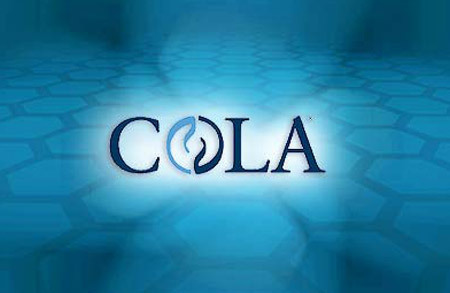 Moleculera Labs is fully accredited by CLIA and by COLA. Currently, to complete testing of the Cunningham Panel™ we utilize two sites, each performing testing on different portions of the panel. Each clinical site is fully accredited. 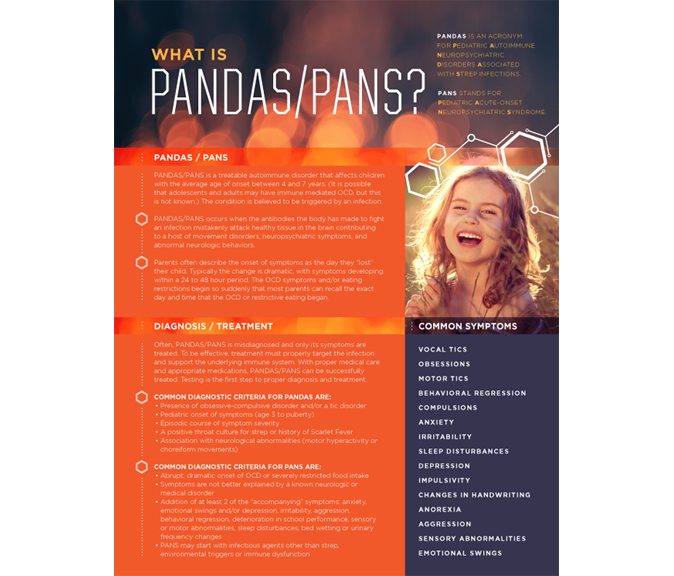 Moleculera Labs has designed brochures for both physicians and parents to assist in making a Neuropsychiatric Disorder diagnosis or a PANS/PANDAS diagnosis as well as a brochure answering frequently asked questions about insurance coverage for The Cunningham Panel™. To download these brochures, please click on the brochure you are interested in below.